Imbued with meaning and personal history, an engagement ring tells a beautiful story – a public symbol of the commitment you and your beloved have decided to make. Deciding on a design for an engagement ring can be a little overwhelming with endless design choices available. Looking to create a unique bespoke ring to celebrate this union? Here we break it down into design steps to help bring your sparkling vision into reality. 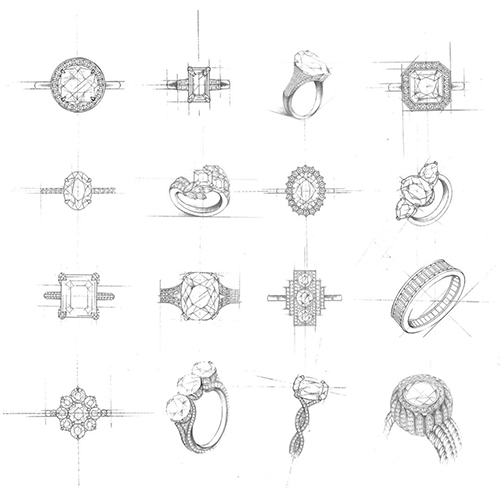 Learn how to design an engagement ring. 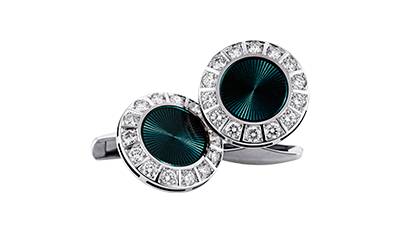 Possibly one of the most significant decisions in the process is the shape of the centre stone, this will determine the overall feel of the ring and is a pure reflection of your or their general style and taste. 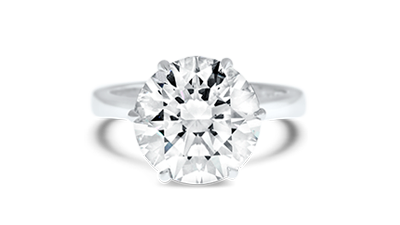 Stones with curves tend to look softer and are a little more feminine, known to be classics shapes, think rounds and ovals. If you’re after an edgier more structured look with straight angles, consider princess cut, emerald cut and Asscher cut stones. 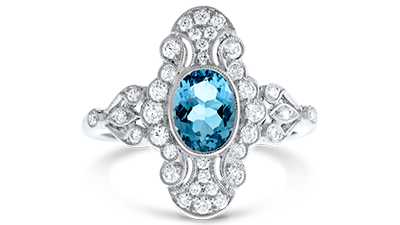 If you’re still a little unsure of the stone shape based on your style and taste or if you’re looking at surprising them and designing the ring yourself take our quiz: here. Not only is it fun you’ll find some helpful inspirations! The support structure is the second biggest decision when designing your ring. If you want the least amount of metal visible, the claw setting shines here, allowing more light to enter the stone and capture its fire. Maybe you want something streamlined and less prone to catching on fabrics and gentler against the skin, if this is your preference consider bezel type settings. If you’ve always had your heart set on a cushion cut stone in a four claw setting additional structural support is required. So in some cases its best to consider the shape of the stone and the setting style at the same time. This may help with your decision-making process, especially if you can’t decide over two different stone shapes! The colour of the metal and how it compliments the tone of the skin along with the hardness and durability of the metal are both significant factors to consider here. Each precious metal has its pros and cons. Generally, 18K yellow gold is slightly softer than that of 18K white and rose gold. Platinum, on the other hand, is harder wearing and a more durable choice. If the colour of the metal versus your skin tone isn’t an issue, platinum is an excellent choice. In addition, it requires far less maintenance than gold, but it is noticeably heavier due to its density. To dive deeper into the science of each metal, you can find more helpful information, here in our jewellery metal guide. Here we have an array of choices available to help complete your bespoke vision. Do you want additional stones to complement the centre stone, with small supporting stones on either side or are they to be set throughout the ring? Maybe you would like pierced elements, a flower motif or geometric shapes in alternating metal colours? The next choice is the profile of the band, perhaps a soft and gentle half dome or maybe a knife edge? Both band designs help draw the eye towards the centre stone. If you’re unsure, in a lot of cases it best to work with what complements the centre stone, is it a curved stone or an angular stone, would it suit a flat surface or a softer surface? Once the band profile is decided upon the very last things to consider are the finishing touches. Do you want to lighten the look of the metal? Is it possible in your ring design to alleviate the look of it by introducing milgrain detailing? Milgrain adds a delicate touch, although it’s not suited to all ring designs. Lastly, engraving is an excellent way of writing a little private reminder to your beloved, perhaps the date you both officially met or when you proposed? Working with an experienced jewellery designer will help you answer these questions and more. And there you have it, your sparkling masterpiece has been lovingly designed by you and handcrafted by artisans who see and believe in your vision. The creation of an engagement ring is a unique creative journey and collaboration. Book your complimentary design session with one of our consultants today.